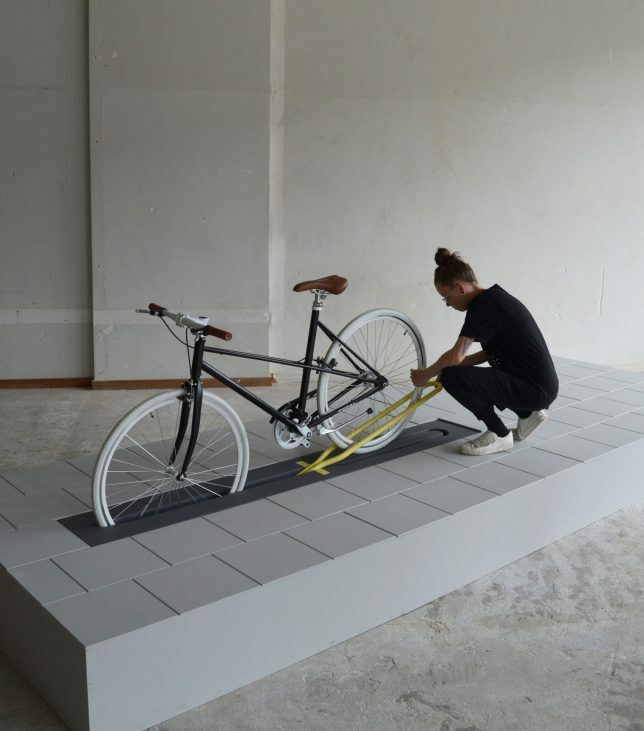 It sounds like a great design solution: a pop-up bike rack that disappears below the pavement when not in use, but the problem it aims to solve really an issue, and (if so) would it ultimately work as intended? 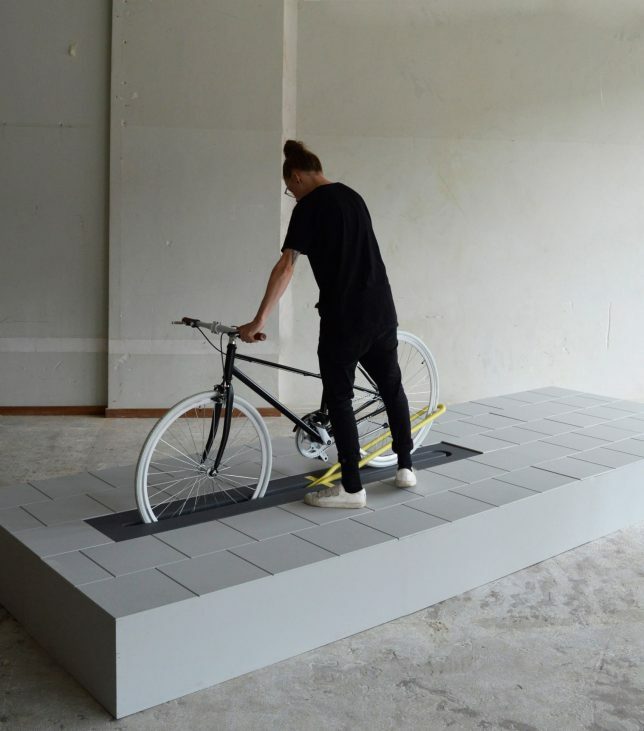 On the surface, this idea by Design Academy Eindhoven graduate Milou Bergs looks fairly compelling — bike-stabilizing and locking bars fold down and out of the way when no cycle is present, minimizing visual impact. 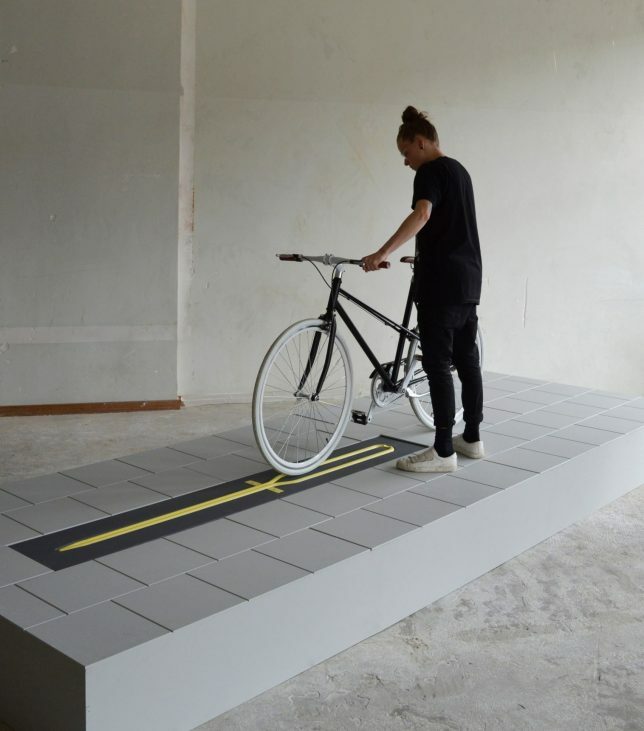 But it also raises some questions, like: how will bikers find the racks? Typically, a cyclist will attach to what they see and what is handy. Also: what would it be like to miss these in their downward position and cycle over them? There is also a durability issue: would bikes hitched up to these low posts be safe from lateral bumps and collisions? 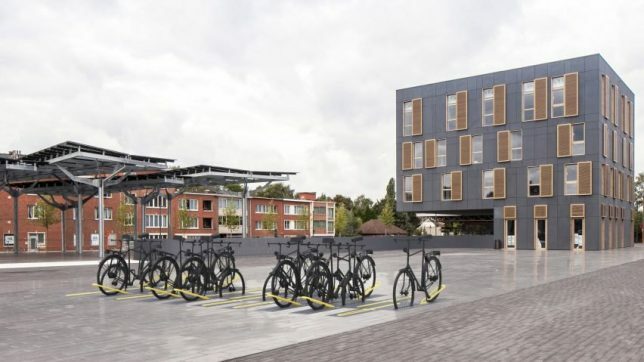 It is certainly nice to see someone focusing on bicycle infrastructure and considering alternatives, and, if nothing else, design experiments like this one raise good questions. Still, this particular one may address a solution without a problem — bike racks are often in use around the clock, and may need to be above the surface anyway (for visibility) whether people like to look at them or not. Of course, this may also be a region-specific solution, suitable for a cycle-centric culture and hard for an American critic to understand.